Mass communication & Journalism – the name itself sounds so exciting. People are so fascinated by this field that they want to pursue their career in Mass Communication & Journalism itself. UGC NET gives the opportunity to such people to achieve their dream. If you want to make career in this field, then you are at the right place. Mass Communication & Journalism is the study of spreading information to a large audience through various means of communication & journalism is the activity of writing about recent developments for newspapers, magazines etc. This article is the complete guide for UGC NET Mass Com & Journalism aspirants. Here, you will get all the important information related to it. Are You Eligible for UGC NET Mass Communication & Journalism? Why pursue Mass Communication & Journalism? What are the career scopes? In case you have decided to appear for UGC NET Mass Communication & Journalism Exam, then you should check the UGC NET Eligibility criteria to know whether you are eligible for it or not. Candidate should have a PG degree in Mass Communication & Journalism or related field. Candidates whose results are awaited or are in the final year of their post-graduation are also eligible for this exam. PG degree should be completed within 2 years from the NET Result Date. If you fulfill the above criteria, then you are good to go ahead with your dreams of becoming a Mass Communication & Journalism Lecturer. Let’s know more about the exam, like it’s pattern, syllabus, etc. When we start thinking about certain exam & decide to appear in it, the first thought that comes to mind is how to start preparing for it. The best way to kick-start the preparation is to have the proper knowledge of the exam for eg; its pattern, marking scheme, syllabus, etc. UGC NET Paper-1 is General Aptitude & compulsory for all subjects. This will test the comprehension, general aptitude & awareness of the candidate. Whereas UGC NET Paper-2 on the specific subject i.e. Mass Communication & Journalism (including all electives, without options). There will be no negative marking, so you will have to answer all the questions. Each question will carry 2 marks. The objective type questions will include ascending/ descending type question, multiple choices, multiple answers (checkbox), matching type, true / false, assertion-reasoning type, & comprehension type questions. 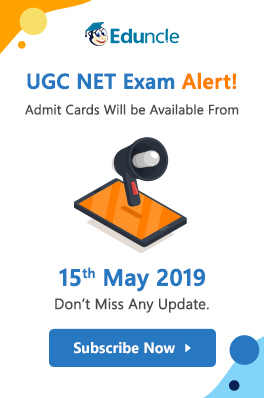 Now that you got the idea of UGC NET Exam 2019 Pattern & marking scheme, let’s dive into details of syllabus. UGC NET Mass Communication & Journalism Syllabus. To initiate UGC NET Mass Communication & Journalism preparation, aspirants should have the complete syllabus & curriculum of the exam in written or printed form. Once you have the complete NET 2019 Syllabus, you can divide the topics based on your convince & their importance. For more details, please visit – UGC NET General Aptitude Paper 1 [Preparation Hacks]. The ones who are planning on getting good marks & rank should never compromise with the quality of study material. A good study material is like a good teacher who gives you the right information & knowledge you need to reach your career goal. 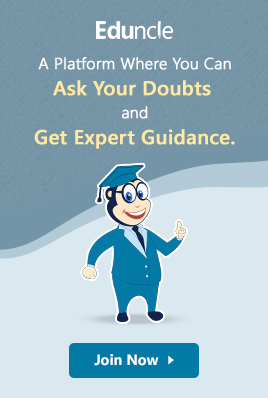 To have the full confidence & be sure that you have not skipped any topic that could lead to loss of even a single mark in your path towards success, you should follow a good UGC NET Study Material Kit for your preparation which includes Sample Notes, Mock Tests, UGC NET Paper 1 Question Paper with Answer Keys, Study Plan, etc. As UGC NET Exam is one of the most prestigious exams of India, it is quite challenging to crack this exam. Hence, you must take your preparation seriously. If you’re aspiring to appear in 2019, buy the best recommended books to get exceptional score in the exam. The book must contain good quality practice questions papers along with their answers. It must contain the entire UGC NET Syllabus of your subject. Should be of good quality (Printable content). Content must be written in easy & modest format for your easy & better understanding. If you are you a natural orator, keen about reading and investigating news or if content curation is your field of interest, then Mass Communication & Journalism may be the right option for you. It is a very interesting and rewarding career option, especially for people who are good at public speaking & who have strong oration skills. Mass communication deals in spreading of information to public or masses using a variety of media. NTA’s UGC NET Exam is an outstanding gateway to make a career as a Researcher or Professor in India’s Most Prestigious Universities. UGC NET Certificate helps candidates to get the well-paid jobs from various PSUs & other organizations. Here we are listing out some of the career options in the field of Mass Communication & Journalism. These will help you in deciding whether it is useful to appear in UGC NET or no. Starting Salary of Assistant Professor – 57,700 INR Per Month. Starting Salary of JRF – 25,000 INR Per Month. Monthly Allowances & Perks – 37,610 INR Per Month. Promotions for Assistant Professor – After 2 Years to Associate Professor or Professor based on the skill and performance. Promotions for JRF – After 2 Years to SRF. Opportunities to Share and Double the Knowledge. Less Duty Hours with Leave Benefits. Contribution to the Education System of India. More such benefits will be there. So, ultimately, your decision of choosing UGC NET would not make you regret at all. Worrying about how to crack UGC NET Exam is not an option for our readers. Because we provide all the important information and tips required to reach their goal. To ease your journey of UGC NET Mass Communication & Journalism, we are providing you some of the success tips, which will help you in achieving a good score in the final exam. Hope these will work well for you! Form your own opinion on important issues and write short notes on them. English language correct use of grammar, etc. Try to write fast and legible. Any preparation is incomplete without practice. You should keep practicing sample questions or previous year papers or mock test papers along with preparing. They help you in keeping the track of your preparation and tells you where you exactly stand. Below are few sample questions for your reference so that you can understand the exam pattern, difficulty level, etc. Frequency of carrier wave varies according to the frequency of the signal. Frequency of carrier wave varies according to the amplitude of the signal. Frequency of signal varies according to the amplitude of the carrier wave. Frequency of signal varies according to the frequency of the carrier wave. The role of epistemology is emphasized in ______ of development. Assertion (A): In the practice of his or her professional activities, a public relations practitioner should respect the collective dignity of the publics, but not of individuals. Reason (R): It is his/her responsibility to deal properly with everyone around that includes colleagues, employer, media and public at large. In case of any difficulty or problem you face while solving these questions, please let us know. You can write or share your contact details in the comment section below so that our experts can reach and help you solve all your queries. In this section, we have tried to cover all the details and information necessary for UGC NET Mass Communication & Journalism.